Conviction no.1 Munir Patel was a court clerk and Ministry of Justice employee. Mr Patel was sentenced to six years’ imprisonment (later reduced to four on appeal) in November 2011 for a variety of offences including a bribery act violation after taking £500 bungs to lose driving conviction violations. Conviction no. 2 was an aspiring self employed cab driver, Mr. Mushtaq. Mr Mushtaq was convicted of bribery under section 1 of the Act and sentenced to two months’ imprisonment, suspended for 12 months with a two-month curfew order between 6pm and 6am. Mr Mushtaq attempted to bribe a mini cab licensing officer. Conviction no. 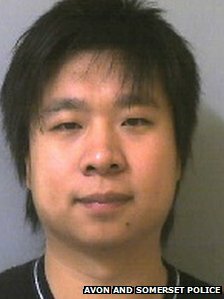 3 this week was, drum roll….of a student at Bath University, Yang Li (pictured), the son of a Chinese Public Official for attempting to bribe his tutors. Bristol Crown Court heard he told his tutors “I am a businessman” and then slapped £5,000 in cash on the table. The tutors rejected the offer and asked him to leave. As Li was doing so a pistol fell from his coat pocket. “Mr Li is someone who is used to carrying large amounts of cash with him. …He was not thinking straight, he made an impulsive decision to use the money he had on him, which was a ridiculous gesture and ill-thought through. …One of Mr Li’s pleasures is shooting in the garden of his house, and he intended to return to it after the meeting. 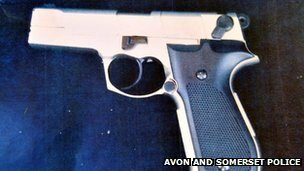 …He had the gun in the pocket of his coat as he didn’t want to leave it in the car, he felt it was safer with him. …It was in no way connected to his meeting. “Any form of corruption or incitement to a person in any manner amounts to a serious offence which must be taken seriously by the court. …Your bid to achieve a pass mark by offering what was a bribe to your professor was ill conceived to the point of being a spectacular mistake and one which was doomed to fail from the start. …It was planned and deliberate and demonstrated a failure to comprehend the high standards adhered to by the public and private offices in the UK. …This was made even more serious by the fact that you had an imitation firearm in your possession. …I have no doubt that it provoked fear in Professor Graves, though I am satisfied that you did not acquire it for the purpose of the meeting.